Excursiones y tours archivos | Zúrich. Guía de viajes y turismo. 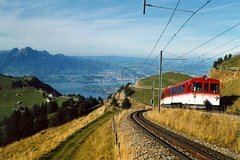 Mount Rigi tour & lake boat cruise with private tourguide – starts from Zurich. Spend a day around Lucerne and on Mount Rigi with your private tour guide, just you and your guide! Enjoy a one-hour boat trip from Lucerne to Vitznau and then climb up to Mount Rigi on cogwheel railway. Enjoy fantastic views over Lucerne, the lake and the surrounding Alpine mountain peaks. Relax on the summit terrace before beginning your return journey. Descend by cogwheel railway on the east side down to Arth-Goldau and take a short train ride back to Lucerne. 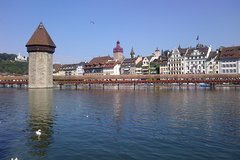 Lucerne city tour incl boat ride – private tourguide – starts from Zurich. Spend a half-day in Lucerne with your private tour guide, just you and your guide! Together with your tour guide you will discover the old town of Luzern, the wooden “Chapel bridge”, the lion monument and the magnificant churches in the city. Your tourguide will tell you stories about the city and the life in Luzern. Close your tour by travelling with your tourguide on the scenic boat on lake Luzern and enjoy the view to the lake, the city and the surrounding mountains.